At its core, this is a moral issue. 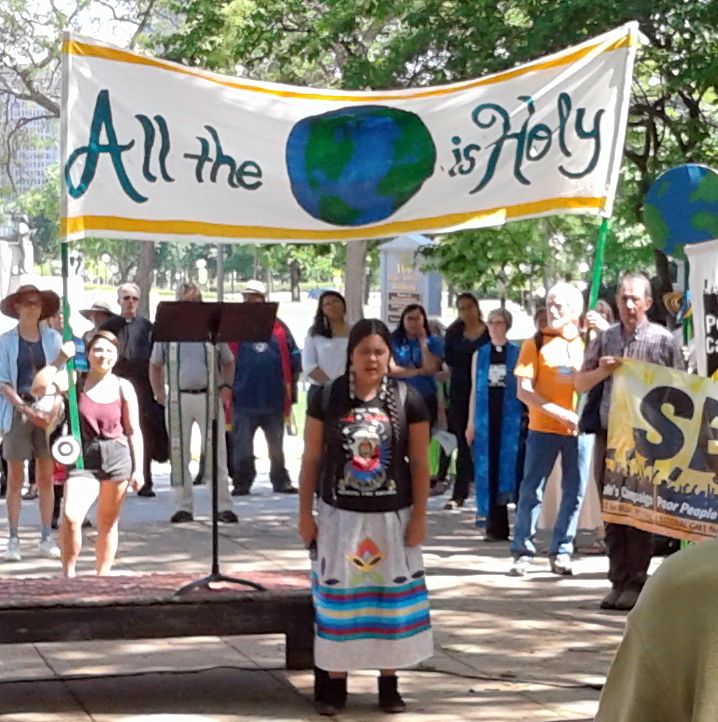 Many of us signing this letter come from Christian and other traditions that in recent years have taken formal positions acknowledging the role of our faith institutions in the mistreatment and deep trauma done to Indigenous peoples. 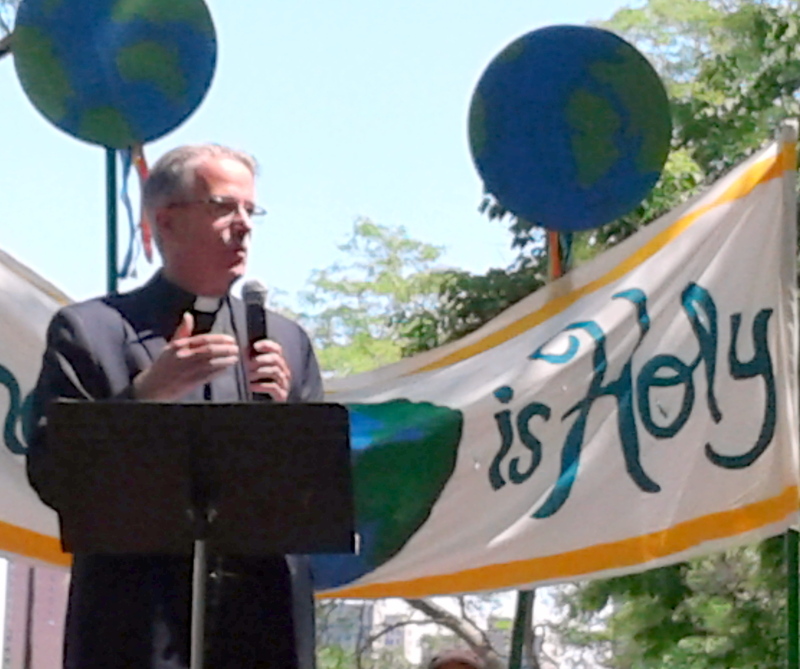 … We have committed ourselves to seeking ways forward for healing and repair. Our signatures here represent an effort to live out that commitment. Leaders from other traditions signed the letter, too, including Rabbi Alexander Davis, Beth El Synagogue and co-chair of the Minnesota Rabbinical Association; Imam Asad Zaman of the Muslim American Society in Minnesota, Sosan Flynn, guiding teacher at Clouds in Water Zen Center in St. Paul; and Nancy Cramblit, president of the board of directors for the Unitarian Universalist Fellowship in Mankato. 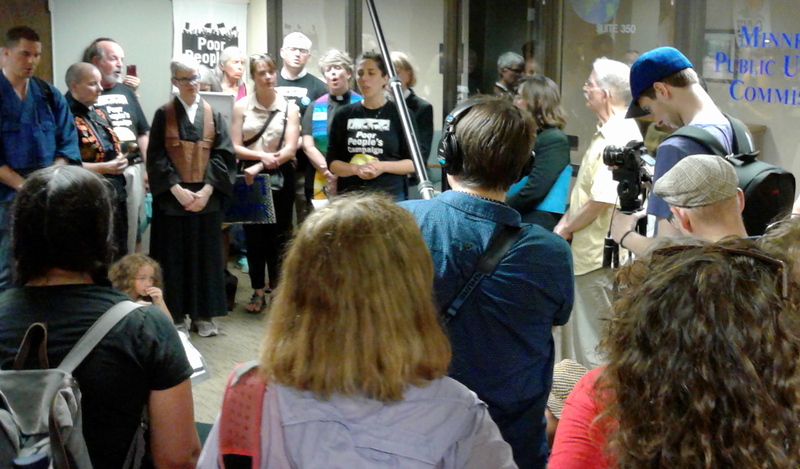 Gathering outside the offices of the Minnesota Public Utilities Commission, before delivering the second letter. Rev. 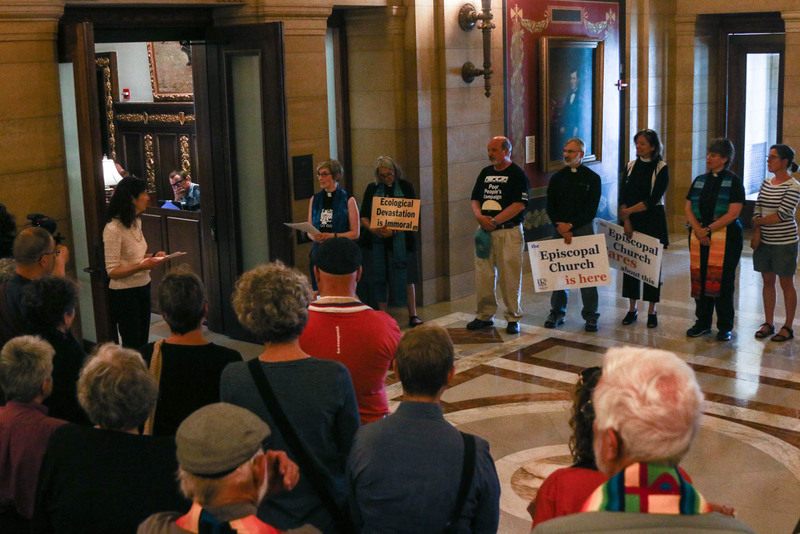 Emily Goldthwaite Fries, associate minister at Mayflower United Church of Christ and a representative of Minnesota Interfaith Power and Light, presented the letter to Cathy Polasky, a senior policy advisor to Dayton. It is not easy to keep walking when what we do is collide against oppression. It is not easy to find each other and to look in each other’s eyes and say “Hello,” when we have been trained, day after day, to normalize oppression. We have been trained, day by day, by this society, to passively accept looking past each other. Today we have a challenge. We are in the middle of this walk together. We have the challenge of how it is that we will continue to show up and continue to find each other and to continue to make our work a blessing for each other, in the midst of this long road. How do we carry the humility to know that we are not the first people to have been walking this road? We walk this road because of, and thanks to, and in honor of or elders and our ancestors who have walked this road and showed us [the way]. 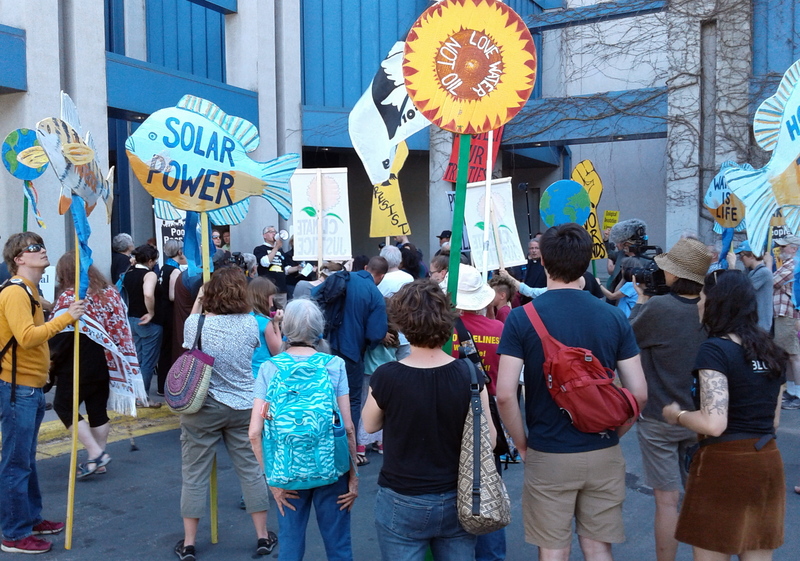 The PUC is expected to vote on Line 3 in late June. 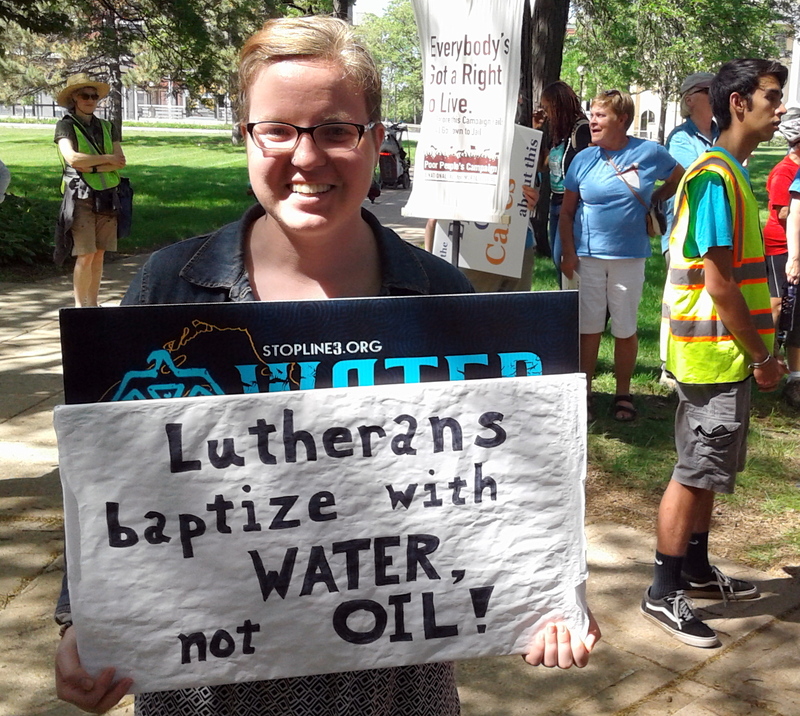 Tara Houska, Honor the Earth’s National Campaigns Director. 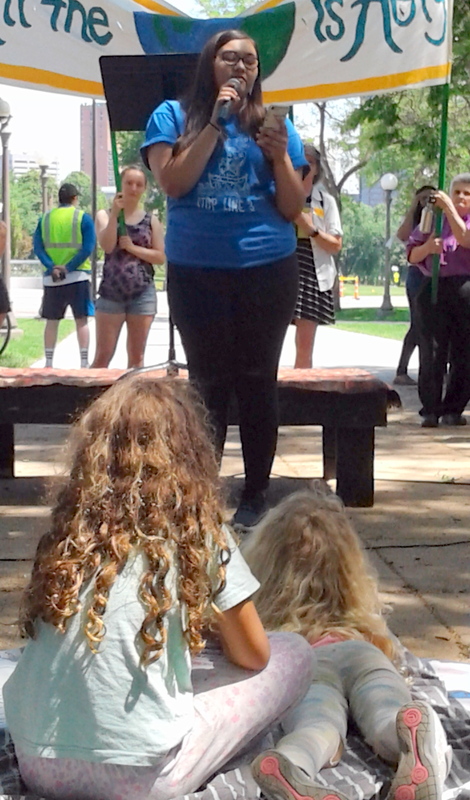 Native leaders spoke, too, including Tara Houska, the National Campaigns Director for Honor the Earth, Jim Bear Jacobs, founder of Healing Minnesota Stories, and Rose Whipple, one of the Youth Climate Interveners. Rose Whipple, Youth Climate Intervenor. The Doctrine of Discovery was created by the Vatican in the 15th Century and it gave Christian explorers the right to claim any land it ‘discovered’ for the Christian monarchs,” she explained. “Any land that was not inhabited by Christians was available to be stolen, claimed, and exploited.. … Millions of my people died because of this Doctrine. My people are now less than 1 percent of the country when we used to be 100 percent of it. We are still affected by this Doctrine to this day. And Enbridge building Line 3 directly through our treaty territories and wild rice beds, and putting their man camps right next to our communities is a fine example of that.